Senator Feinstein reintroduced the California Desert Protection Act (CDPA 2011, S.138) this month, a necessary step in order to put the legislation back in motion after Congress adjourned last year without putting the 2010 version of the bill (CDPA 2010, S.2921) to a vote. CDPA 2011 is mostly identical to last year's legislation, except that Senator Feinstein removed provisions seeking to streamline the permitting process for utility-scale solar energy projects, a process she has previously criticized, in particular because she believed projects should be sited on already-disturbed or private land. 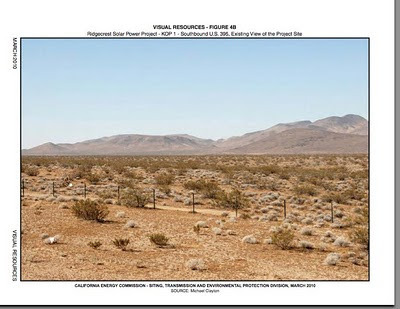 Update: Solar Millennium LLC has since revived its proposal to destroy 6 square miles of public land, as of 24 March 2011. Ending a stubborn and costly effort to destroy public lands in the name of profit, Solar Millennium finally canceled its proposal to build the Ridgecrest Solar power project in the Western Mojave Desert. The company planned to bulldoze over 6 square miles of desert, but the California Energy Commission (CEC) staff warned the company about its intention not to approve the project. 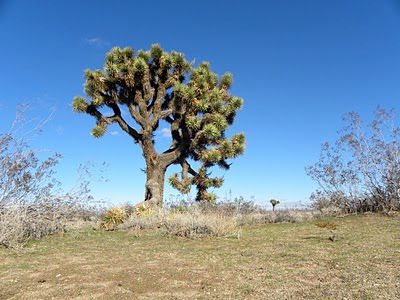 The site is located on a Mohave Ground Squirrel connectivity corridor that links different populations of the animal, which the US Fish and Wildlife Service may list under the Endangered Species Act. The site also hosts at least 40 endangered desert tortoises, and local residents expressed concerns about the project's overdraft of scarce groundwater resources. Over the past two weeks, a coalition of concerned citizens who live and recreate in California's deserts have filed two legal challenges, one against the US Forest Service's approval of the Sunrise Powerlink transmission line, and the other against the Department of the Interior's approval of the Imperial Valley solar power project. These two new lawsuits included, there are a total of 6 challenges against State and Federal approval of destructive projects. In sum, these legal challenges represent a maturing of America's view of renewable energy policy, recognizing that not all renewable energy is "green," especially when large utility-scale projects deprive future generations of America's natural and cultural heritage. Distributed generation (rooftop solar) is a more cost-efficient and democratic way to reduce greenhouse gas emissions. What would "clean energy" look like in the wrong place? Answer: D.) All of the above. Not all renewable energy is green. Keep solar on rooftops. Save our desert for future generations. Now that the 111th Congress has come and gone, legislation that was not passed last year must either be reintroduced in the 112th Congress or it will never see the light of day. Senator Diane Feinstein's California Desert Protection Act of 2010 (CDPA 2010) was introduced last year but because of a busy legislative calendar it was never passed. We want Senator Feinstein to continue working as an advocate for the conservation of California's pristine desert lands, so we are urging her office to reintroduce CDPA 2010 this year. If reintroduced and passed, the bill would create two new national monuments in California's desert, and set aside or expand wilderness areas throughout the Mojave and Sonoran Desert. The legislation is necessary now more than ever given the threat of rapid energy development, and the decline of the threatened desert tortoise. 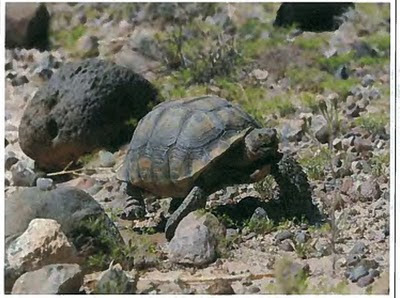 The Desert Tortoise Recovery Office released the draft Range-wide Monitoring of the Mojave Population of Desert Tortoise: 2010 Annual Report. The surveys of key desert tortoise habitat revealed higher densities of tortoise in some areas than were observed in previous years, although the report judges that for 3 of the monitored areas, the densities are consistently high. However, because of refinements in the survey techniques and resources available for the surveys, accurate population trends cannot be established from the surveys yet. The Department of the Interior and Department of Energy have announced a series of public meetings during which concerns about the Solar Programmatic Environmental Impact Statement (Solar PEIS) can be expressed. The Solar PEIS outlines Washington's plan to site renewable energy development on public lands throughout the American southwest. The plan could impact hundreds of square miles of pristine desert habitat, including large plots of land in the Mojave Desert. You can access the State-specific chapters for the PEIS at the Desert Protective Council website or the Solar PEIS website. Below is a list of the public meetings. 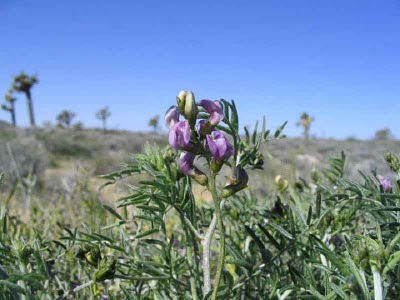 The US Fish and Wildlife Service proposed designating critical habitat for the rare Mojave Desert plant--the Lane Mountain milk-vetch (Astragalus jaegerianus)--although off-highway vehicle enthusiasts have protested the move. If the proposal is enacted, it would be the final stretch in a long road by conservationists to win critical habitat protection for the Lane Mountain milk-vetch. The plant occurs in only 4 places, and it can survive for years underground thanks to a taproot that extracts whatever moisture is available deep underground. According to the USFWS, two of the 4 known populations are in decline, and all of the remaining plants are threatened by overlapping demands for the habitat. Someone responded to my last blog post with concern that I did not identify alternatives to utility-scale (large) solar power facilities in the middle of the desert. Although I did try to explain the optimal solution (distributed generation, using rooftops, installing panels over parking lots, or using other spaces in our cities), there is a paper that discusses this solution in-depth (and with much more expertise!). 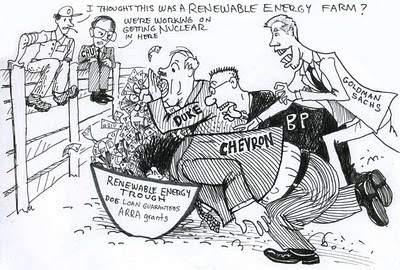 The paper, "Community Power: Decentralized Renewable Energy in California," was written by energy expert Al Weinrub, in collaboration with the Sierra Club and the Local Clean Energy Alliance. Mr. Conrad Kramer wrote an excellent op-ed in the San Diego Tribune explaining why putting massive solar power facilities in the middle of the desert does not make sense. The piece draws from examples of poorly sited project in the Mojave's sister, the Colorado Desert to the south. It's worth a read. The Sierra Club filed a legal challenge against California's approval of the Calico Solar power project, arguing that the California Energy Commission (CEC) rushed the environmental review without full consideration of the impacts on wildlife and without identifying adequate mitigation measures. The petition--filed with the California Supreme Court on 30 December--represents the first legal challenge by a national environmental organization against a destructive solar facility, setting a precedent that utility-scale solar facilities should not be exempted from the same standards environmental organizations apply to other forms of energy -- wise use of public land and preservation of fragile ecosystems. The petition lays out arguments that could easily apply to other solar projects proposed for pristine desert habitat in the Mojave and Sonoran deserts. 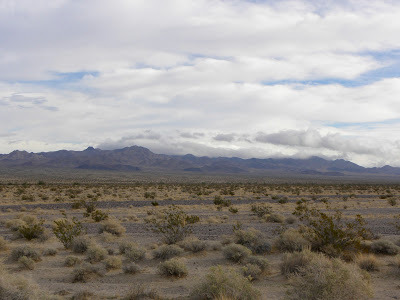 Even though Senator Dianne Feinstein's (D-CA) proposed California Desert Protection Act 2010 (CDPA 2010 or S.2921) did not pass this year, her office plans to continue efforts to push the legislation through this year. 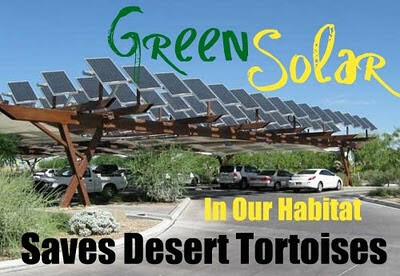 According to a Press-Enterprise article, the Senator concluded last year's Congressional session by stating "I have had a 20-year vested interest in the desert -- in seeing that it's protected and that what solar is there is appropriate for the area and does not destroy the flora, the fauna, the beauty...I am steadfast in that regard." If passed, the legislation would create two new national monuments, and set aside thousands of acres of additional wilderness areas.